In addition to those restaurants in the centre of Brixton there are those that ought to be described as “off the well beaten track. This is one of them. We’ve been walking up and down Acre Lane for more than thirty years and never spotted this place before. 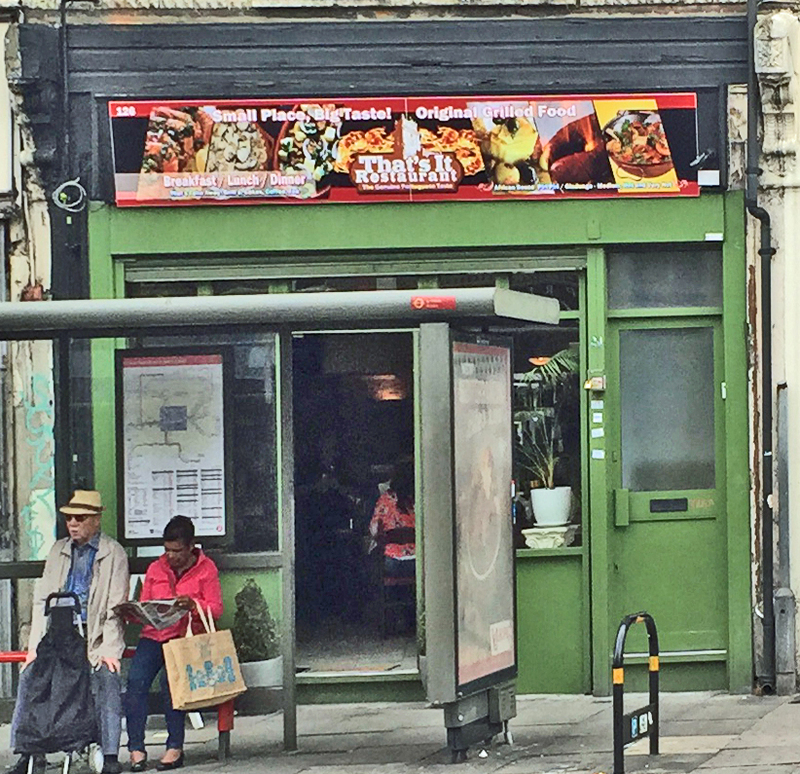 Maybe it’s new but it lurks behind the bus shelter and, at first glance, might be taken as just another greasy spoon. 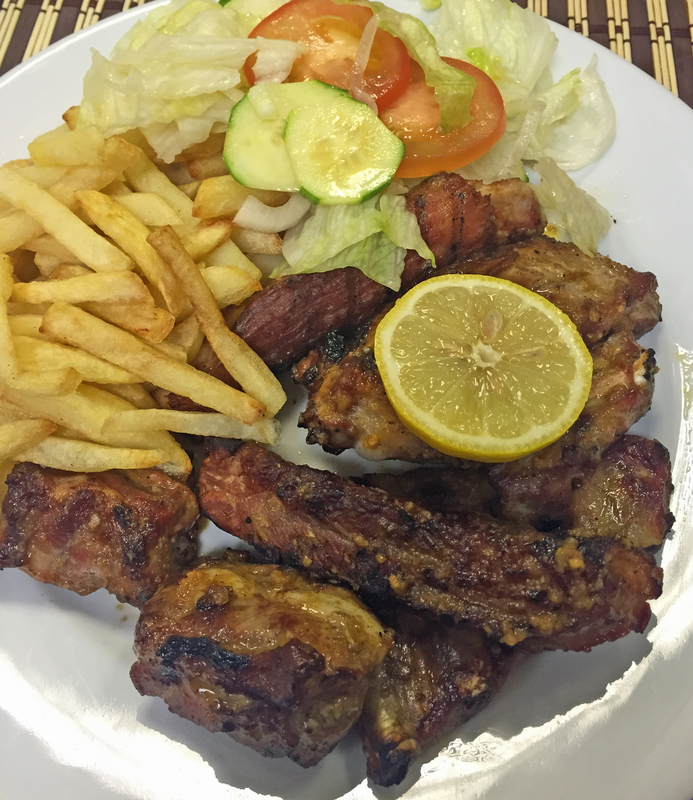 But it has bigger ambitions, offering “original grilled food” and claiming “The Genuine Portuguese Taste”. Our interest was sparked when we spotted the tables set with wineglasses and napkins. Even more when we saw it had handwritten menus offering a wide range of Portuguese specialties. So we went on a Thursday evening to find a canteen like space, with practical tables and chairs, and a bar at the back. The television was on, tuned to a Portuguese channel, and for most of the time the only other customers were a couple of men at the bar having energetic discussions, in Portuguese, with the woman who runs the place. We guess there’s a back room as well as at one stage she went past with a couple of billiard cues. So plenty of authenticity. The only odd note was a statue of the Buddha at the entrance. The menu is extensive, focussing on grilled meat but plenty of fish as well and even a few vegetarian options. We went for the two main course dishes of the day, which were frango estufado con pure de batata (which translates as stewed chicken with mashed potato) and tiras de porco grelhadas con chips e salada (grilled pork strips/ribs with chips and salad). We were asked if we wanted the ribs spicy, to which the answer was yes. We also decided to try a starter and shared a helping of pimentos asardos (mixed grilled peppers). The pimentos hadn’t really been grilled enough but given the size of the mains, weren’t needed. The large serving of ribs were spicy enough, expertly grilled and came with a decent portion of chips and salad. 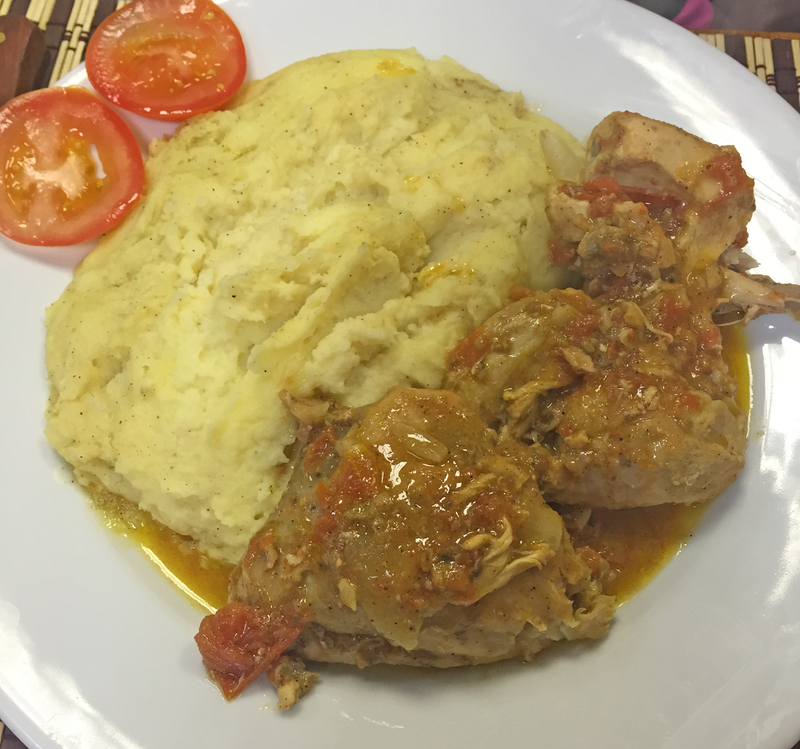 The chicken was tasty and that came with an intimidating portion of mashed potato. Most of the chicken got eaten but less than half the potato. To get a real idea of the size of the meals from the photographs it is important to understand that these were 12 inch plates. Unfortunately the size of the meals left no room for afters, even though we were interested to hear that they were all homemade. 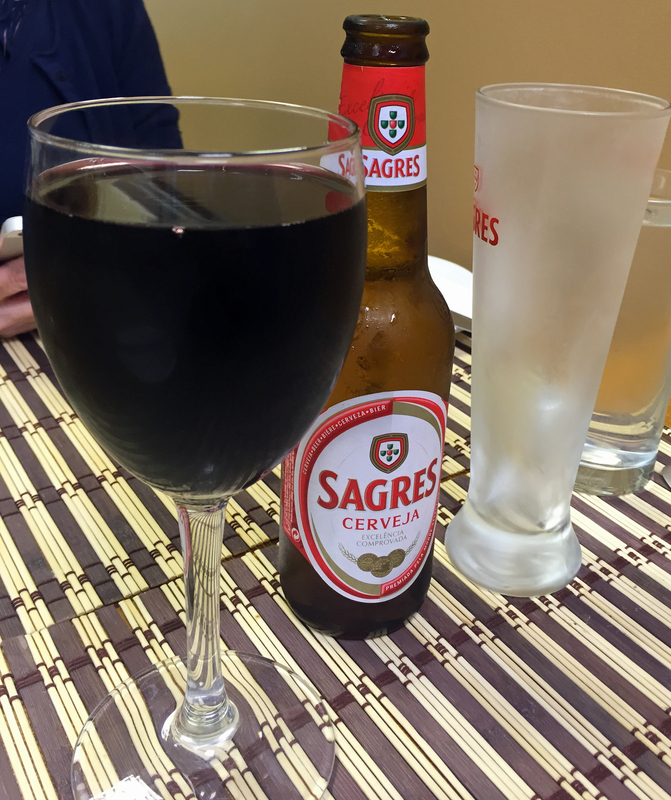 To drink we had a Sagres beer and what turned out to be a very large glass of the house red wine, both of which were good and excellent value costing £6 between them. The dishes of the day were also extraordinarily good value, being £7.50 each, with the total bill coming to £25.00, before leaving a tip. This isn’t fine dining but for well cooked food at a good price, it’s a real find. These guys have been running a little place by the same name behind clapham high street tube on Bedford Road for a few years. I’m really pleased to see them opening a “restaurant” branch on Acre Lane. You’re right, it’s not fancy food, but it’s tasty and great for the price! It was a greasy spoon last week – that’s “my” bus stop, and I seriously only noticed this week that it was no longer the greasy spoon it’s always been!